Event for captains, senior crew and industry leaders hosted by U.S. Superyacht Association – St. Maarten. Includes updates on U.S. yachting, a golf outing, a pick-up rugby game, welcome dinner and cocktail party. 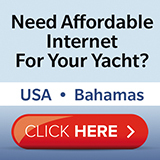 Details at info@ussuperyacht.com, 1-800-208-5801, ussuperyacht.com. Spend the day on the links with top superyacht Captains and Crew. Drinks & prizes included! Golf is Limited to the first Twenty (20) Sponsors! Join us for an evening of great food, open bar and networking with superyacht industry captains and leaders. There will be a brief presentation with updates about yachting in the U.S.
Cocktails to follow at Buccaneer Bar – Come enjoy complimentary Beer, Wine and Hors d’ oeuvres!